Porvair is pleased to announce the addition of the 4 lug adaptor to the junior filter range for small-scale applications. 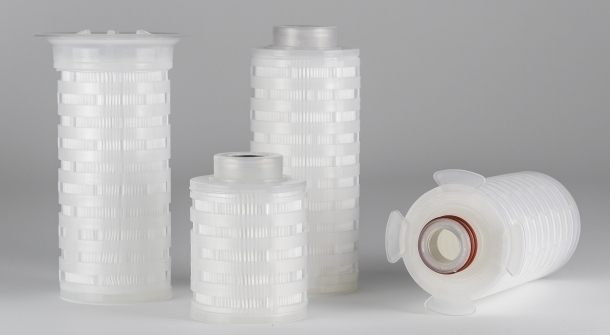 At Porvair, we manufacture a range of disposable polymeric filters for use within the biopharmaceutical, food and beverage, industrial and chemical process, printing and validated filter industries. The 4 lug junior cartridge is available with a range of media for filtering gases and low volume liquids for pharmaceutical, food and beverage and process applications. The 4 lug filters are suited for applications requiring retention of bacteria in liquid and venting applications in sterile environments using Porvair’s sterile membranes. The 4 lug adaptor is designed with double O-rings to provide total security where sterility is of paramount importance. For aseptic applications a junior cartridge with a 4 lug adaptor can be used for in-situ SIP and CIP regimes, in closed systems. For non-aseptic applications the 4 lug filters offer the versatility of using Porvair’s proven Polyfil™ and Microfil™ media, ideal for processing inks, chemicals and water where volumes are low or multi-pass fluid paths require absolute level filtration.